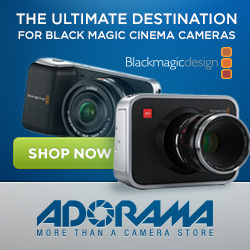 Hybrid Camera Revolution: Blackmagic Pocket Cinema Camera CinemaDNG RAW Files for Download! Blackmagic Pocket Cinema Camera CinemaDNG RAW Files for Download! While Pocket Cinema Camera owners await the long-promised RAW upgrade, Blackmagic guru John Brawley has posted five CinemaDNG RAW files from the Blackmagic Pocket Cinema Camera for download at copy.com. I am traveling, so I don't have time to experiment with them, but wanted to share, so the community can experiment with them before the RAW upgrade is released. You can find the downloads here. I wish I had taken the time to experiment with ProRes before my Pocket Cam arrived - instead of trying to figure out how to shoot with the camera and grade at the same time. I won't make that mistake twice. I will make the time to download and experiment with a few RAW files when I get back home. In the meantime, I look forward to seeing a lot of great grades posted in the next few days! And if you've been waiting to order your Pocket Cinema Camera until the RAW upgrade was released, please order it from one of the links above or the display ads below or in the margins. It won't cost you anything extra, and it helps to keep these blog posts coming. Thanks so much.